If you're an avid Who What Wear reader, you'll know we're experts when it comes to shopping online. But when it comes to knowing how to shop on eBay? That's a tricky business. How do stop yourself from missing out on that bargain you're after? Is there one particular thing you should be keeping an eye out for? Also, what's the deal with fakes? Can you keep that from happening? I had plenty of questions, but it's quite hard to find answers. The thing is, there are plenty of secret eBay shoppers who have many a savvy trick up their sleeves—you just have to hunt them down. My Twitter followers and Facebook friends were an untapped resource for solid eBay shopping intel. So the next time you're considering browsing the site, make sure you read these tricks first. Keep scrolling for the fives rules on how to shop eBay. Ever spent hours trawling through eBay of an evening and before you know it, dawn is breaking and the birds are singing? Okay, maybe it's not that extreme, but you'd be lying if you told us you'd never been stuck in an eBay hole. Setting up alerts will help you find the pieces you want more easily and stop you from making purchases that you don't need or even desire. Shout-out to my Facebook friend who gave me this tip—it is genius, and it totally makes sense. It might also mean that when you're bidding, you're much less likely to be up against as many people, because they won't know this clever trick. It's easy to be duped by a fake on eBay, but there are ways to spot one. According to eBay, you should be doing these following things to prevent yourself from purchasing counterfeit goods: Research what you're buying, check the returns policy and always ask for more information. If it looks too good to be true, then it probably is. Pay via PayPal to protect yourself, and check the seller's feedback. You can see more of this information in detail on eBay's site. If there was one rule that nearly everyone suggested, it's to get an eBay sniper. These are programmes that you get to place a bid for you at the last minute to win your product. All you need to do is ensure the sniper has the maximum price you would pay for the item and let it do its job. There's a great blog on eBay about how to use a sniper and which ones to use. And if you're really desperate to snag the piece first, then contact the seller directly and see if you can make a deal. From a fashion editor's point of view, eBay is great for finding the following: vintage pieces, high-street designer collaborations and sold-out high-street pieces that you still really want to buy. For example, did you have your eye on that J.W.Anderson x Topshop collab? That's still available but at a much better price. Or maybe you missed out on getting that blue coat from Zara? You can still hunt it down on eBay. Not only do you not miss out on one of the biggest pieces around, you might even get it at a better price. Keep scrolling to shop some of the pieces we predict will sell out before they hit eBay. Yep, it's the fashion influencer's favourite. 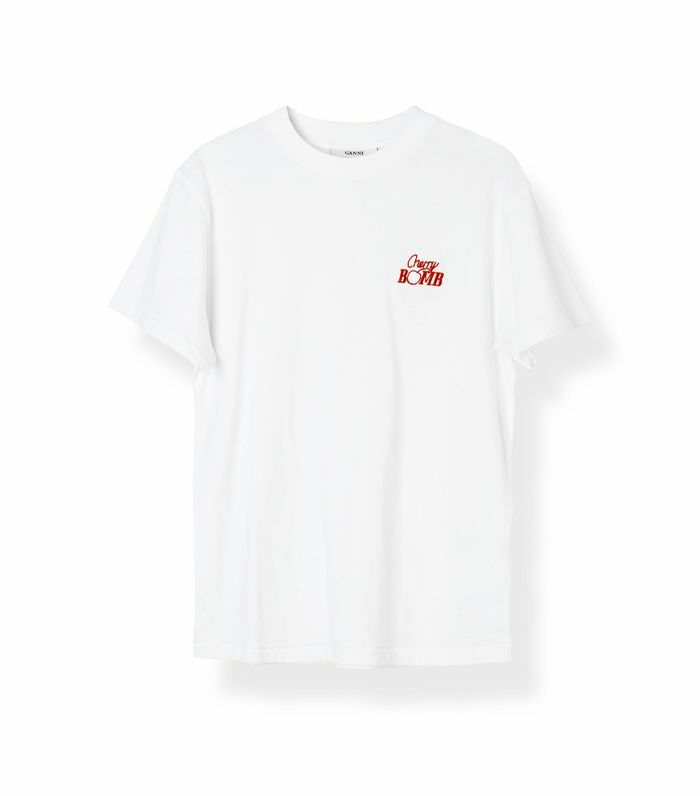 This Ganni tee is definitely going to find itself on eBay when it sells out. We're just guessing, but this pink dress from H&M has Insta-smash written all over it. Not only is the pink trend still going strong, that H&M ruffle shirt sold out everywhere, so we reckon this frock will do the same. Kimonos are a big deal right now, and Zara's pretty printed version is high on our shopping hit list. It's trending on Zara's site right now, so we can very much imagine it'll be going the same way as many of its outerwear predecessors. Vita Kin's folksy tops were a big hit last summer, so we reckon you'd be wise to buy one now before they all go. Gucci's loafers are big sellers, so we don't need to tell you these are a must-buy. Mango's vinyl skirts have been spotted on plenty of bloggers, so it's advised to snap one up sharpish before they all go. Another bag that regularly sells out is this one from Manu Atelier. This Lisa Marie Fernandez piece is now back in stock on Net-a-Porter, but it will go again, and quick. So you've got the Gucci loafers. But what about the Gucci bag? It's iconic and will last you forever. Convinced? We are. Next up! Prediction: These nine new-in pieces will definitely sell out.